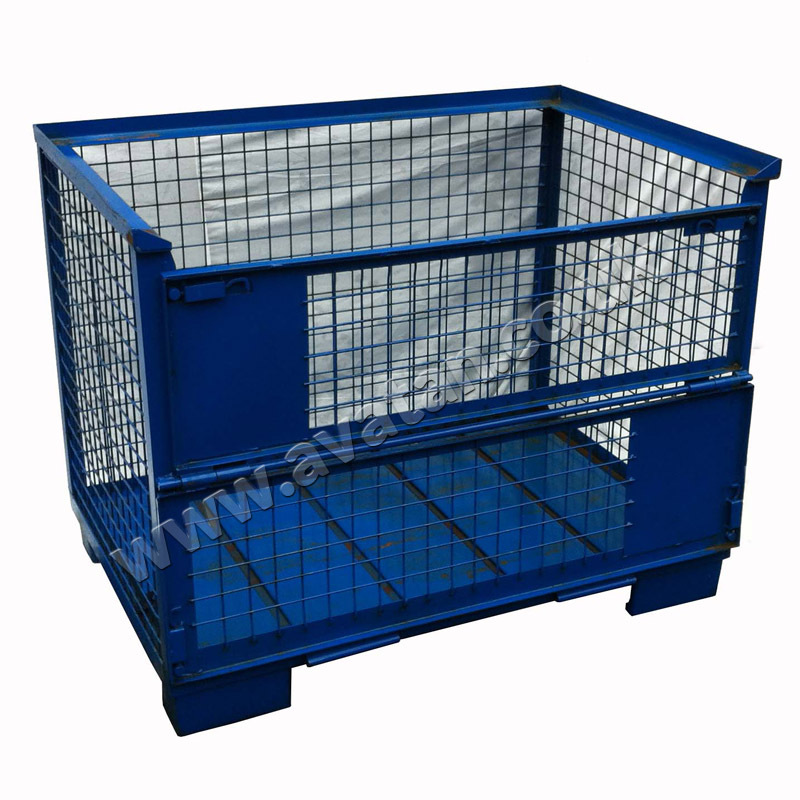 This collection of pallets and stillages are based on the standard Euro Cage Pallet, known in Europe as Gitterboxes. 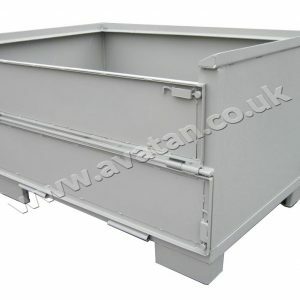 Available with corrugated sheet steel deck or with Euro standard timber deck, these pallets may also be supplied for inclusion within the European Pallet Pool, (EPAL) style. 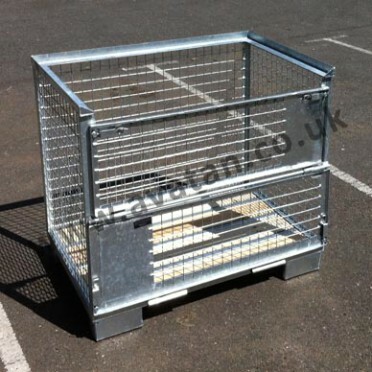 Dependent on the type of materials you are storing or distributing these versatile cage pallets may be supplied painted or hot dip galvanised and are suitable for a wide range of storage applications. Our Euro pallets have a range of features including half drop gates and hinged doors, but all are constructed in hard wearing steel to offer durability, reliability and safety. 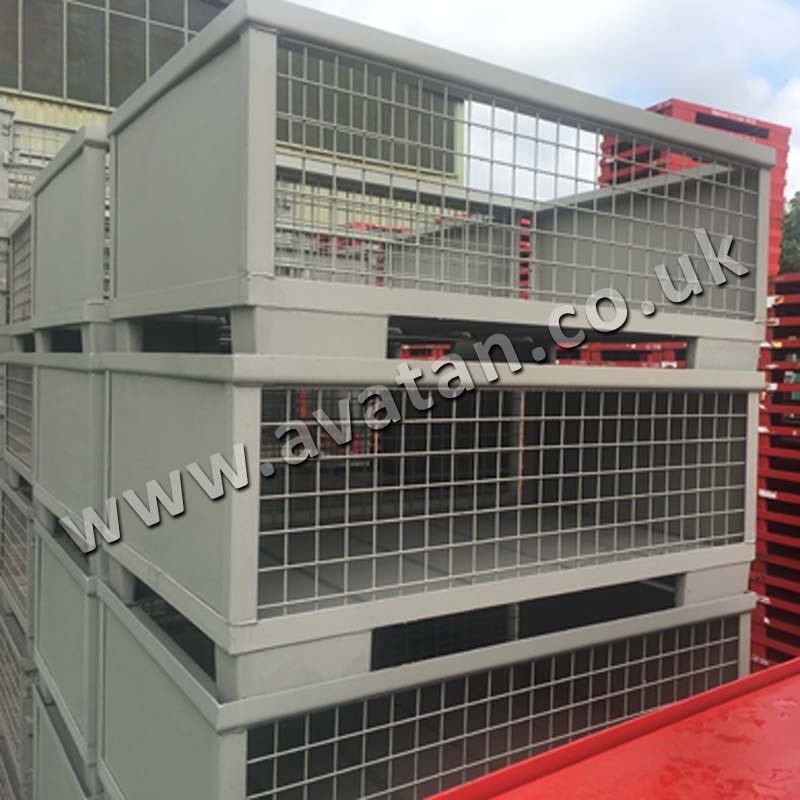 With mesh or sheet steel sides, they can be built to withstand different maximum loads so please contact us to discuss your requirements. 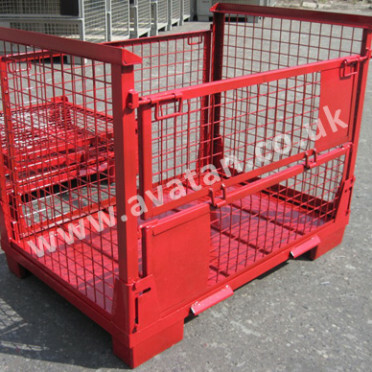 These stillages can be stacked to a maximum of five units high dependent of the loading in each cage pallet. The standard European Pallet Pool Stillage EPAL will carry a plate confirming that the stillages are suitable for a maximum individual load of 1500kg and a maximum load when stacked of 6000kg. The Euro 90 may also be offered as a fully collapsible unit. 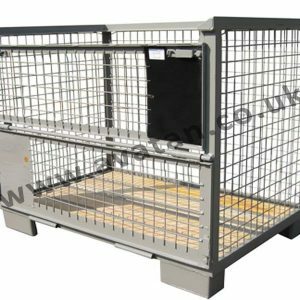 Euro 91 gitterbox cage pallets are supplied with hinged mesh or sheet steel sides and fold flat for empty storage and easy, economical transportation. 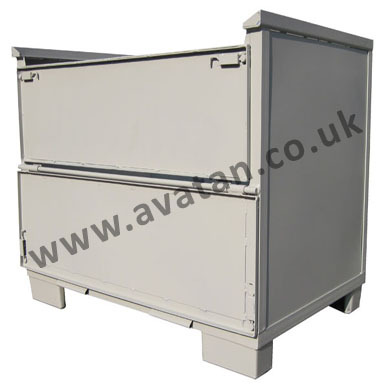 Avatan have been building and providing bespoke storage solutions for over 25 years and our experts are on hand to help you make the right choice.